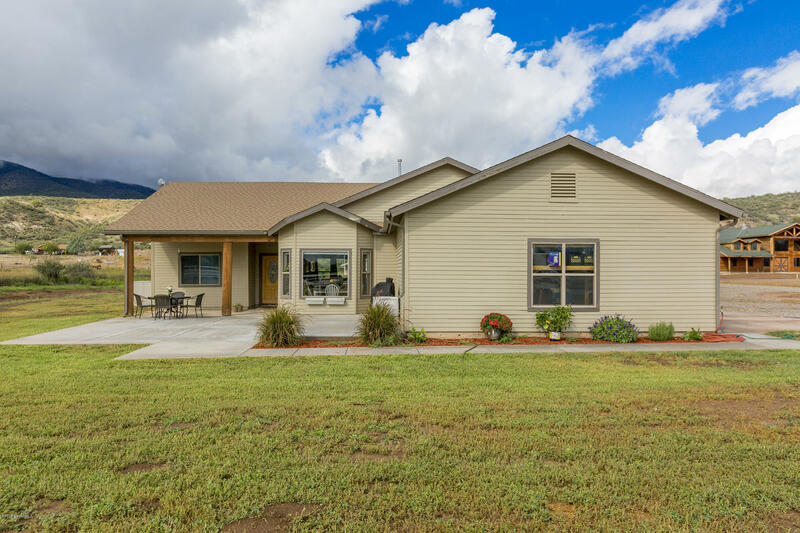 Panoramic mountain views abound this ranch house on 1.62 acres. Horse property. Open concept. Split floor plan. Dream kitchen with over-sized upper cabinets, solid surface counters, breakfast bar, & new stainless steel appliances. Huge master retreat with private exterior access, oversized bathroom with new rain glass shower doors & massive walk-in closet. Excellent outdoor entertaining space with covered & open patios. 3-car garage with built-in shelves also fits a tractor! Plenty of room for RV parking and toys. No HOA! Tend to chickens, grow a raised garden, & watch wildlife in your very own temporal duck pond! Only minutes to Forest Service land, public river access for kayaking & fishing, horse & hiking trails, boutique wineries & much more! Get ready to live the dream!